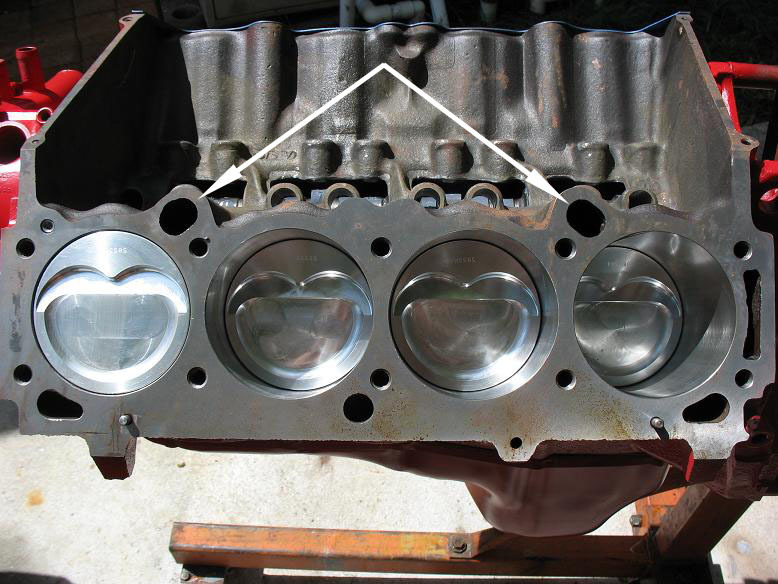 Here is a comparison of early model big block Buick blocks. 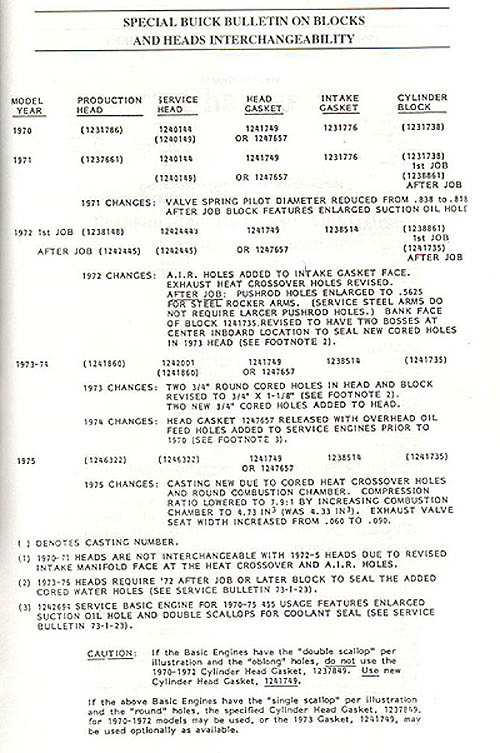 The top drawing shows 1967-72 blocks with the round water port above the cylinders. The lower images show the later model blocks which have the oval water holes and appeared sometime in 73-74. The later model blocks 1975-6 are slightly better cast than earlier versions and have the improved oiling passages that first appeared in 1971. Here is an actual picture of a 73 455 block with oval water holes. The only head gaskets that are year specific are the shim steel gaskets. You can not use a steel shim gasket on 73-76 blocks and heads. Felpro as well as other brands are for all year big blocks, 400-430-455. 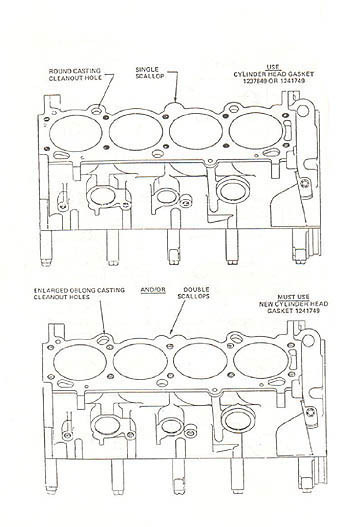 There are two different intake valley pan gaskets 71 and earlier and 72-76. Use the valley pan for the year of the heads.